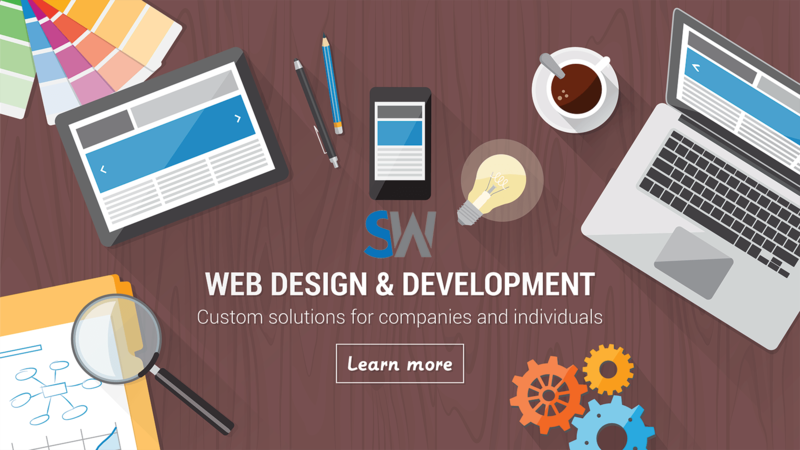 Shoals Works offers Modern Web Design & eCommerce Development Services with Free Consultations. Our web projects begin with a free consultation to understand your requirements & build a custom solution. All of our websites include Google My Business, Google Analytics, and Google Search Console accounts. We develop eCommerce projects on the Shopify Platform for clients seeking add to cart functionality. Our mobile-ready design ensures your website will look great and easily function across all platforms. Speak with a web strategist. Begin with a free consultation to discuss your web project requirements & build a custom solution. Click to request a callback. A decade and counting – we’ve worked with companies of varying size and understand what it takes to launch and maintain your successful web presence. Instead of spending time trying to sell you, our initial consultation will be primarily focused on your needs and strategic objectives so that we are able to tailor a solution that is right for your goals. We have passion for what we do, and we take pride in the results of our work. This ensures you receive a top-notch product every time. Andy and Shoals Works are the best! From web design to integrating your social networks. Support is always a call away. I feel as if Shoals Works is a part of my team and that I am not just a customer. Very responsive and always willing to work on the project until we are completely satisfied with the end product. Shoals works is where it is at for a website! They helped me with my blog-website and I could t be happier! Very effecient and always available to answer any of my questions. I would highly recommend shoals works for your next website. Andy’s kind nature, extensive knowledge of the web, eye for design, and attention to detail make him the perfect web designer to work with! His websites are easy to navigate, professional, and look wonderful. I highly recommend him! Andy is great to work with. He listens to his clients and delivers exactly what he says his deliver. He encourages client feedback and is responsive to their needs. Every business that doesn't feel 100% certain that their web presence is all that it should be (or at least what they're paying for) should sit down with Andy. You won't regret it. Great modern designs that fit the character of our businesses, quick turnaround on edits to the page, consistently available support . These are just a few of the factors that make Shoals Works a pleasure to work with. Zero friction. We just email what we want to Shoals Works, and it's quickly live on our site. It's that simple. Andy has been a pleasure to work with! He really understood the vision of our business and portrayed it perfectly through our website. I would recommend them to anyone looking for an effective, cost efficient and timely website. If you are in need of a Website and graphic design look no further. Shoals Works will do it all for you. The staff is very talented, creative and have a great understanding of marketing. The founder is experienced in sales and marketing for over 15 years. He will use his expertise in all areas to help grow your business and get the right message out. If you need a company that will listen to you wants and needs this is it!!! TEAM work at it's finest. Andy was awesome! The scope of our project (Court Street Market) was quite large and he was always patient waiting for me to get to things, review them and get back to him! He understood what I wanted and stepped out of the box on so many occasions! A true professional and an asset to any company! Working with Andrew (shoals works) was easy and efficient. When you don't have time to put a lot of effort and advice into your website he takes stewardship and the product is exceptional. Couldn't be more satisfied and suggest anyone needing any social media/website design, this is your place. Andy is easy to work with and we had great experience creating our sites. If Andy Alonzo is involved. ......its gold. Good people, Good company. Want a better online presence?